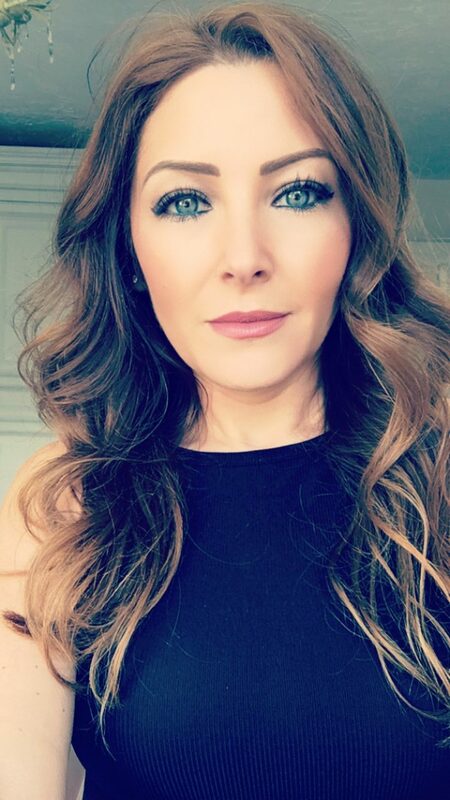 I’ve got another amazing HQDigitalUK author on the blog today and it’s the lovely Victoria Cooke! Welcome, Victoria! It Started With A Note is a romantic comedy about, Cath, a single parent of a grown-up son who steps outside of her comfort zone by heading off to France to retrace her war-hero great-grandfather’s WWI journey. She meets some wonderful characters along the way, including some fun octogenarians, and handsome French tour guide, Olivier. 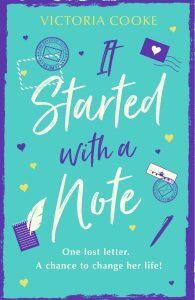 It Started With A Note is out in ebook on the 2nd of December and paperback on the 21st of February. A warm cosy hug of a book, with a sprinkle of history and a dollop of armchair travel. Set manageable daily wordcount targets. Don’t get too hung up on wording in your first draft – just get your ideas down. Join one of the many online support groups for writers – don’t isolate yourself. I usually have a one- or two-page outline in a notebook, with some key themes jotted down somewhere else and a few quotes that I think of which I store in my phone. I basically have bits of planning everywhere so I suppose I’m really a pantser. In the book world, having people I don’t know contact me to tell me they’ve enjoyed my books is the best measure because that’s what I’ve set out to achieve. I usually look at top 100 lists from the year they were born and depending on their background, look at common or less common names from that year and pick one that I think will suit their nature. I did once, but it turned out that there’s a much more well-known Victoria Cooke who had a slightly different career than I. She was once ‘Playmate of the month’. Put my phone on ‘flight mode’, get snacks and coffee at the ready and go for it! I tend to aim for bursts of an hour with breaks in-between. The quicker I write a book, the longer it takes to edit. I had just a few months to write The Holiday Cruise and it took a good few months to edit. Ideally, about four or five months for a first draft is comfortable. Spotting my own typo mistakes is by far is my weakness. I’ve taken to using the speech function in MS Word so I’m relying on sight and sound to find errors rather than just sight. I’m not too bad with most SPAG, however, there are slightly different ‘house rules’ that I can’t always keep track of. Structural edits are the hardest part for me. The implications of just a small tweak can be huge and require changes throughout the entire manuscript. I love tweaking dialogue once I’ve finished the draft and know my characters better. I’d love Emily Blunt to play Mel in The Secret to Falling in Love and if Ryan Gosling could pull off a British accent, he’d be my first choice for Scott. Personal time management and setting my own goals. Taking part in NaNoWriMo has helped massively with that. I’m a ‘grass is always greener’ kind of girl. Whichever method I’m using, you can guarantee I’m sat there thinking I’d be better off doing it the other way. I really don’t have one. I enjoy so many different genres and styles that it wouldn’t truly reflect my reading style to pick one. I love Liane Moriarty, Sophie Kinsella, JoJo Moyes, Stephen King, Gillian Flynn and Shari Lapena to name a few. Again, there are so many to choose from. Probably something that really gripped me like ‘The Hungar Games’. Usually by either reading a book or watching TV with a glass of wine and some chocolate. I love both but if it was one or the other for the rest of time, I’d choose good old chips. I love both if the seasons are true enough (snowy winters and warm summers). Bestselling author Victoria Cooke is back with another hilarious, romantic, and heart-warming read, perfect for fans of Lucy Coleman, Sue Moorcroft and Jo Watson.